Saved by your fall protection but are you still at risk? The number one way to avoid suspension trauma, is to have a rescue team on site while workers are in danger of being suspended by their fall arrest systems. Suspension trauma can set in very quickly, therefore rescue teams need to be quick and ready to address a fall at all times during the day. OSHA requires employers to provide “prompt rescue of employees in the event of a fall”. (1926.502(h)(3)) While waiting for rescue, suspended employees can pump their feet to keep muscles in the legs active, keeping blood circulating. Suspended employees can also attempt to get horizontal to keep blood flowing to lower extremities. Self-rescue systems can be utilized to avoid suspension trauma. These self-rescue systems can be attached to a fall protection harness and utilized once a fall has occurred. Self-rescue systems allow fallen workers to descend from the suspended position to the ground below. Are your employees safe? Do your workers have the proper fall protection training? Amerisafe provides various safety training services for fall protection as well as standby rescue training services. Our safety consultants are experts when it comes to site safety management services, including fall prevention and fall protection. 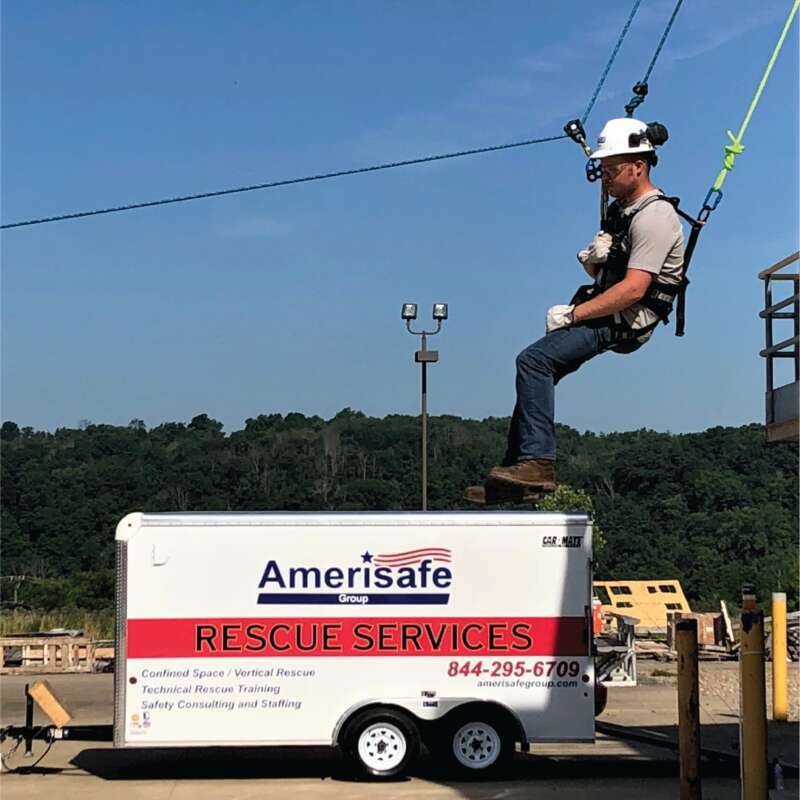 Call us today to find out how Amerisafe Group can manage your fall protection training and site safety services.